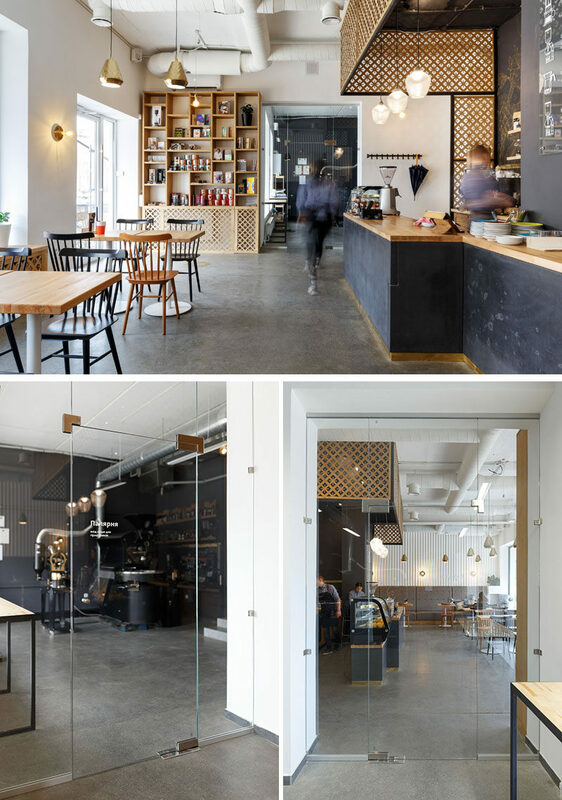 N+K Architectvra have recently completed the design of the first coffee shop with its own roastery in Ivano-Frankivsk, Ukraine. 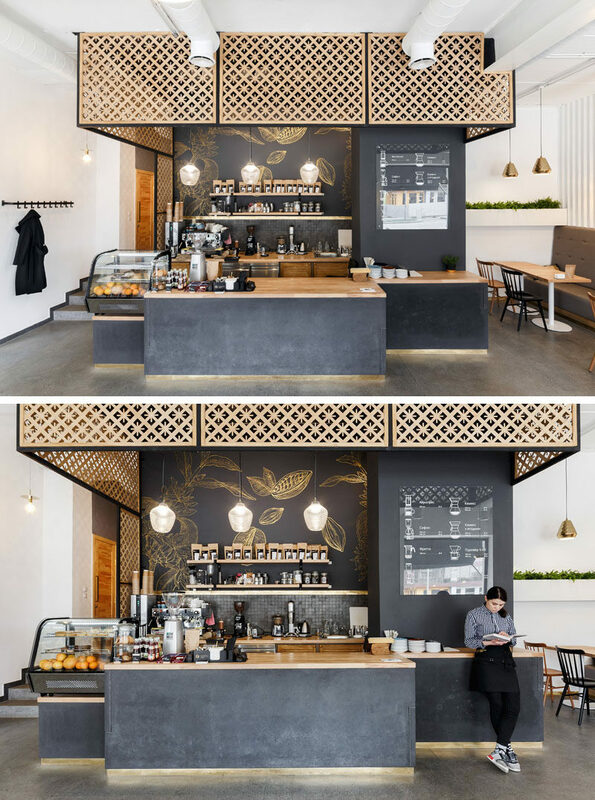 Named Fabryka Kavy, which translates to Coffee Factory in Ukrainian, it’s located within a building of the post-soviet period and is not far from a lake and park. 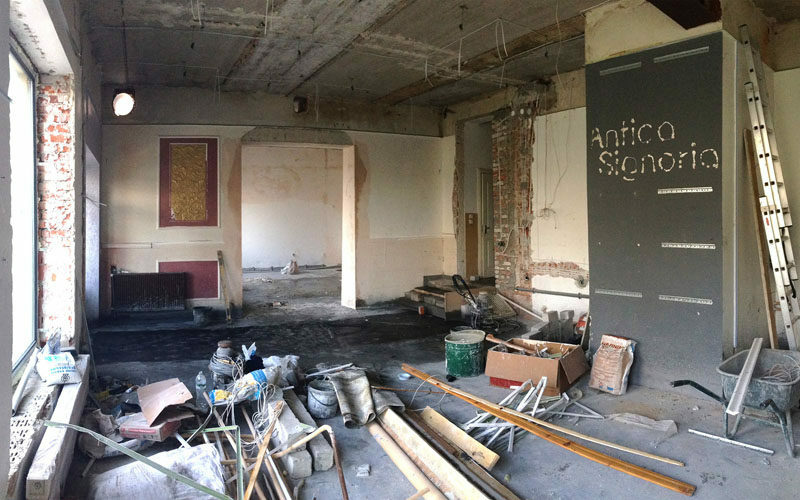 Here’s a glimpse of what the space looked like before the transformation. The finished interior is bright yet relaxing. Central to the space is the service area with dark walls and a concrete base. Wood screens, countertops and decorative gold artwork compliments the look. 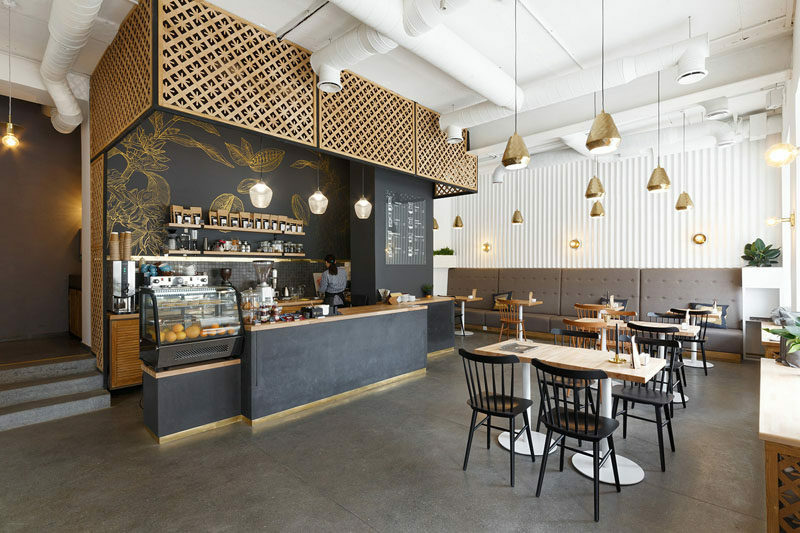 Gold has been carried through the space with simple gold pendant lights that hang above the tables. A corrugated white wall and upholstered grey banquettes add texture to the space, while the wood tables and chairs tie in with the wood countertops. Located next to the windows are wooden benches that are able to be used as additional seating, making them ideal for watching the world go by while having a cup of coffee. A few plants scattered around the coffee shop adds a natural touch. Opposite the main seating area is a large custom-built shelving unit that displays merchandise for sale. To the right of the shelving unit is a glass door that provides access to the roastery, allows visitors to watch the coffee beans being roasted, and helps to block the noise. 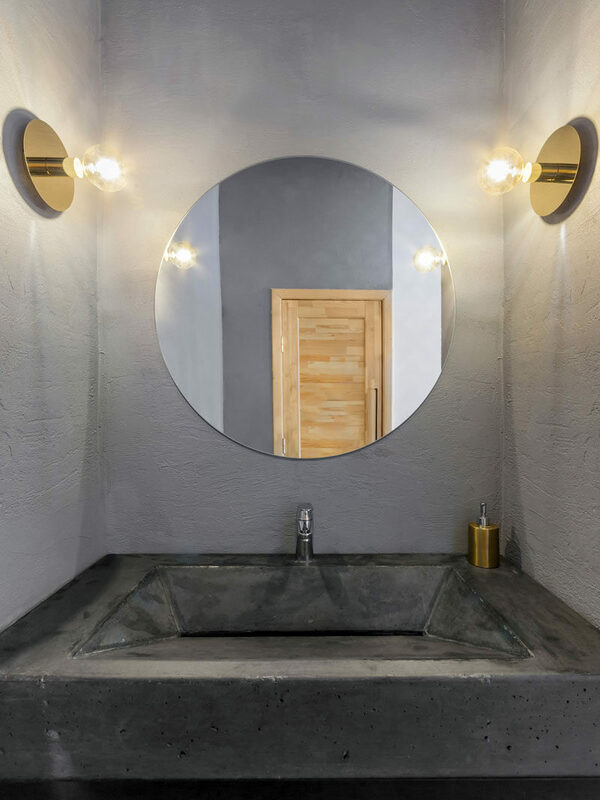 In the bathroom, a custom concrete sink fits the space perfectly, gold sconces grace the wall and the round mirror matches the shape of the sconces.